Interest in a UTI vaccine was kindled in the 1950s, and ever since then, researchers have been looking for a viable vaccine that prevents the bacteria E. coli from colonizing the bladder and thus initiating infection. In July 2017, the FDA granted Sequoia Sciences’ FimCH UTI vaccine fast track designation. If approved, the FimCH vaccine will become the first clinical vaccine for UTI available in the United States. "Fast track is a process designed to facilitate the development, and expedite the review of drugs to treat serious conditions and fill an unmet medical need. The purpose is to get important new drugs to the patient earlier. Fast Track addresses a broad range of serious conditions." There has been an increase in the number of antibiotic-resistant bacteria that cause severe urinary tract infections (UTIs). With UTI, infection can ascend from the bladder (cystitis) into the kidneys (pyelonephritis). These infections can further spread into the blood causing sepsis. Kidney damage, hospitalization, and even death are consequences of a severe, untreated UTI infection. In light of this threat to individual health and public health, there’s been a strong interest in developing a clinical vaccine to prevent antibiotic-resistant UTIs and thus obviate the need for last-line antibiotics—the use of which further fuels the inferno of antibiotic resistance. Moreover, a UTI vaccine could relieve the pain and discomfort of women who have experienced UTI—especially those who suffer from recurrent, or chronic, UTIs—thus improving the quality of life of millions. The FimCH vaccine is a specific-antigen vaccine that consists of the FimH bacterial adhesion protein. The FimH protein is necessary for E. coli to colonize the urinary tract. The vaccine induces an immune response to target the FimH protein. Due to advances in protein purification and the development of recombinant DNA technology, as compared with whole-cell vaccines, specific-antigen vaccines have become popular in recent years. Moreover, specific antigen vaccines can be combined. The antigens used in these vaccines can be elucidated in one of two ways. First, researchers can use cell models (i.e., in vivo) or animal models. Second, using reverse vaccinology, researchers can predict effective antigens computationally. The FimCH vaccine was discovered using animal models. The FimCH vaccine is not new. It was originally licensed by Medimmune and entered phase I and phase II clinical trials before it was dropped from development. Importantly, the vaccine was deemed safe during phase I trials. Sequioa Sciences then licensed the vaccine, changed the adjuvant, and entered clinical trials. An adjuvant is suspension that’s formulated with the vaccine and used to enhance immune response. Of note, phase I clinical trials are studies that enlist between 20 and 100 participants to test the safety and dosage of a drug. Phase II clinical trials enlist up to several hundred participants and examine the efficacy and adverse effects of a drug. Phase III clinical trials can include thousands of participants and also examine efficacy and monitor for adverse effects. According to media reports, during Sequoia’s phase I trials of the FimCH vaccine, the vaccine was well-tolerated and induced a strong immune response. More specifically, 67 women received the vaccine. Of these women, 30 had a history of recurrent UTI that lasted 2 years. Notably, results of these phase I clinical trials have not been formally published in the literature. Women who experience recurrent UTIs are good candidates for a UTI vaccine. Cystitis, or bladder infection, amounts to about 90 percent of all UTIs. 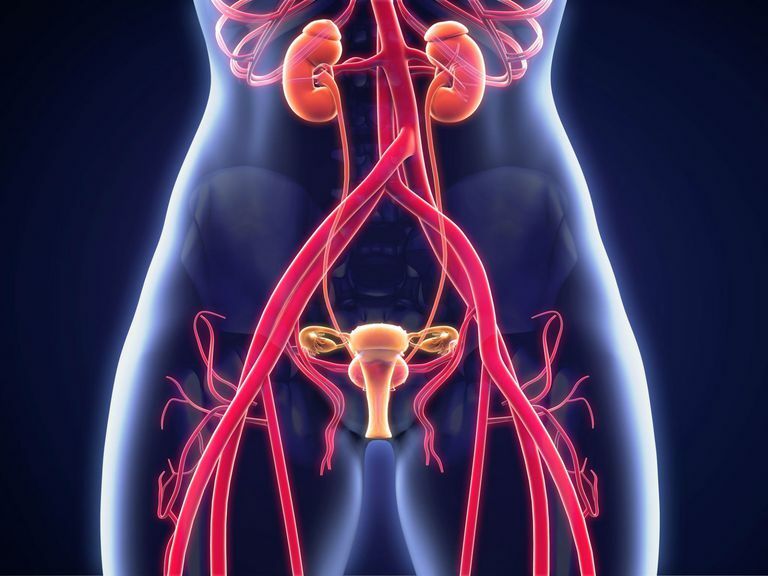 Between 20 and 30 percent of these women experience a recurrence within 3 or 4 months. Recurrent UTIs result in protracted discomfort and pain and contribute to antibiotic resistance because women who have them often take antibiotics during much of the year. Have Other Vaccines Been Tested Recently? GlycoVaxyn and Janssen Pharmaceuticals have also been working on another UTI vaccine called ExPEC4V, which is a tetravalent E. coli bioconjugate vaccine candidate. In February 2017, Huttner and co-authors released findings from phase I clinical trials of this clinical vaccine. In total, 93 women received the vaccine and 95 women received a placebo. Participants were between 18 and 70 years old and had a history of recurrent UTIs. The vaccine was well-tolerated by recipients. Furthermore, the vaccine induced a significant immune response, and women who received the vaccine had far fewer UTIs caused by E. coli. In conclusion, during clinical trials, the FimCH vaccine has shown promise in preventing UTIs caused by E. coli. Currently, a decision on approving this vaccine is being expedited by the FDA. If approved, this vaccine will prevent antibiotic-resistant UTIs and will be especially helpful for women with recurrent UTIs. Gupta K, Trautner BW. Urinary Tract Infections, Pyelonephritis, and Prostatitis. In: Kasper D, Fauci A, Hauser S, Longo D, Jameson J, Loscalzo J. eds. Harrison's Principles of Internal Medicine, 19e New York, NY: McGraw-Hill. Huttner, A, et al. Safety, immunogenicity, and preliminary clinical efficacy of a vaccine against extraintestinal pathogenic Escherichia coli in women with a history of recurrent urinary tract infection a randomised, single-blind, placebo-controlled phase 1b trial. The Lancet Infectious Diseases. 2017; 17(5):528-537. O’Brian, VP, et al. Drug and Vaccine Development for the Treatment and Prevention of Urinary Tract Infections. Microbiology Spectrum. 2016.